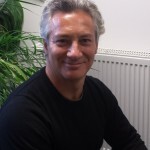 Andrew Lawson is the co-founder and Technical Director of Fiscus Limited and was until July 2007, the Director of the Centre for Aid and Public Expenditure (CAPE) at the Overseas Development Institute, London. He is a qualified economist, with an extensive experience of the design and implementation of PFM reforms, of PFM diagnostics and of complex evaluation work, including the management of multi-disciplinary teams and multi-country studies. He has led a number of major evaluations, and has established a reputation for a rigorous and insightful evaluation approach, with a strong emphasis on follow-up actions, through honest and open communication with stakeholders during the evaluation process, careful development of recommendations, and clear presentation of final results and proposed next steps. He has also led several PEFA assessments as well as analyses of public expenditure in education, health, agriculture, and the environment. Andrew has specialised in the design and evaluation of budget support and financial aid instruments. He was co-author (with David Booth) of the OECD-DAC framework for the evaluation of General Budget Support (2004) and subsequently applied it in evaluations of the Tanzania PRBS (2004–05) and the Ghana MDBS (2006–07). With Enzo Caputo and Martin van der Linde, he updated the OECD-DAC framework in 2008 and has applied the new OECD-DAC framework as leader of multi-donor evaluations of Budget Support in Mali (2011), Tanzania (2012-13), Mozambique (2013-14), Sierra Leone (2015) and Paraguay (2015). He was also senior adviser on a meta-evaluation of EU macro-financial assistance to Eastern Europe and Central Asian countries. Andrew is a strong communicator with a wide experience in training, capacity development and senior level advice to strategic management. He is fluent in English, French, Spanish and Portuguese, and has undertaken consultancy and training assignments in each of these languages. Fermina Lawson is a co-founder of Fiscus Limited a Management Consultancy company based in Oxford, UK and is currently the Managing Director of Fiscus. She is a trained Sociologist and Anthropologist and has been responsible of the Finance and Administrative side of the company since its inception. Fermina was born in Equatorial Guinea and moved to Europe permanently in 1990. She first lived in Madrid and then moved to Oxford in August 1992 after getting married. In 1993, she and her family moved to Tanzania for 2 and half years. 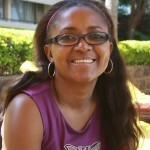 During this time Fermina joined the Dogo Dogo Street Children charity group in Dar-es-Salaam. She worked with the teams helping with raising funds, identifying vulnerable children. Before devoting her time fully to Fiscus, Fermina had a small handmade jewelry company called Mifou. She designed and made customised jewelry with silver and natural beads sourced around the world. Fermina has over 20 years experience in Africa and Europe of project administration, including work in the private and NGO sectors and for the Government of Equatorial Guinea, USAID and the Spanish Cooperation Agency. This experience as well as her language skills, have been invaluable in the growth of Fiscus, and in the development of the excellent relationships it has with its partners, clients and collaborators. She speaks Spanish (mother tongue), English, French and conversational Ki-Swahili. Fermina obtained a Certificate of Human Resources Practice in 2011-12 and continues to do short online training courses to learn how to improve further her knowledge in the management of people and lead the company forward. Gonzalo has worked as an economist for Fiscus Limited since 2012. He has undertaken several PFM assignments in Latin America and Africa including the regular provision of technical assistance to the Government of Nicaragua and Guatemala on the consolidation of the Budgeting Reform through a MTEF. 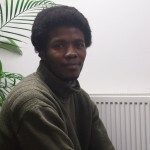 Gonzalo belongs to the Community of Practitioners for the Public Expenditure & Financial Accountability (PEFA) and has been a member of the team in charge of the PEFA assessment in Mozambique in 2015 (14 indicators assessed of the updated PEFA methodology). 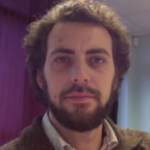 Concerning budget support, Gonzalo has been in charge of the analysis of public spending in four budget support evaluations (Tanzania, Mozambique, Sierra Leon and Paraguay). He has also participated in the meta-evaluation of the seven main budget support evaluations of the EU in the last ten years (Tunisia, Mali, Zambia, Tanzania, South Africa, Mozambique, Morocco). 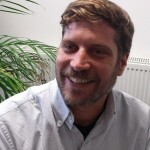 Gonzalo Alvarez de Toledo is a senior PFM specialist for Fiscus Limited, with almost 20 years of experience in the design, management, monitoring and evaluation of public policies in Africa, Latin America and the Middle East. Since 2005, Gonzalo has been involved in the design and implementation of the Results Based Medium Term Budget Framework in Nicaragua, now in its third phase of implementation, which he coordinates for Fiscus. He has led the implementation of a Medium Term Budget Framework for the Ministry of Economic Affairs, as well as an Early Warning Public Administration System and a Public Program Evaluation System within the government. In 2012 he coordinated the design and pilot implementation of the Subnational Open Budget Survey for the International Budget Partnership with study cases in Indonesia, Tanzania and Brazil. He also worked as senior expert on Budget Support Meta Evaluation working particularly in the country case studies of Mali and Tanzania. Gonzalo is fluent in Spanish, French, English and Portuguese. Antonio N Lawson has been working for Fiscus Ltd since 2011 as the Office Manager and Project Coordinator. He has 16 years work experience in different industries such as the Oil Industry, the Retail Industry, and most recently in the Catering Industry. He is in process of taking over the accounting section and awaiting the start of a Book keeping course in January 2016 to further aid him in this transition. He speaks Spanish (Mother tongue) and English.